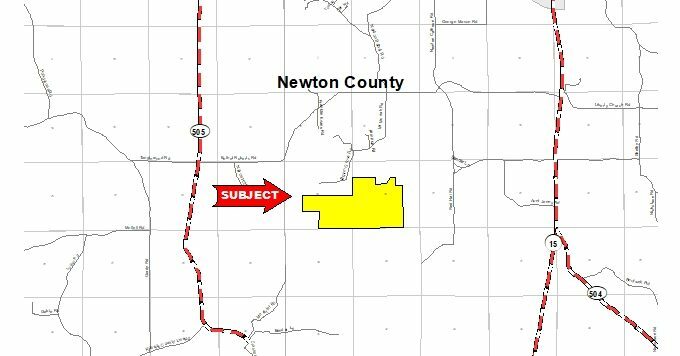 This tract contains 528 acres of timberland in central Newton County, about 5 miles southwest of the town of Newton. It is a good mixture of pine and hardwood stands, offering great diversity in wildlife habitat as well as diversity in timber crops. 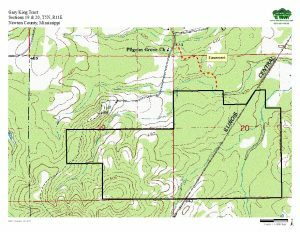 The tract supports 186 acres of 20-year old pines that were thinned in 2016 as well as about 24 acres of 25+ year-old pines. 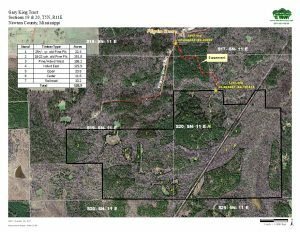 There are 186 acres of mixed pines and hardwood and 126 acres of bottomland hardwood that are also around 20 years old. Several drains cross the property. Large acorn-bearing oak trees are plentiful along the drains and in the mixed pine-hardwood areas. 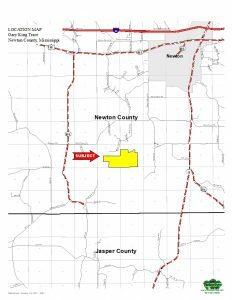 There are also about 20 acres of open land scattered across the tract that are well suited for food plots. 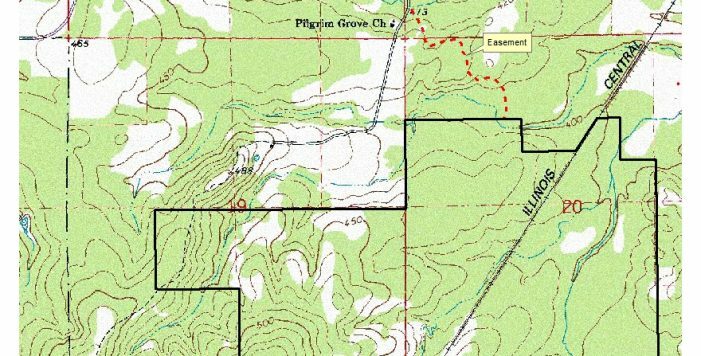 The tract is ideal habitat for deer and turkey, and it has numerous trails for riding ATVs. 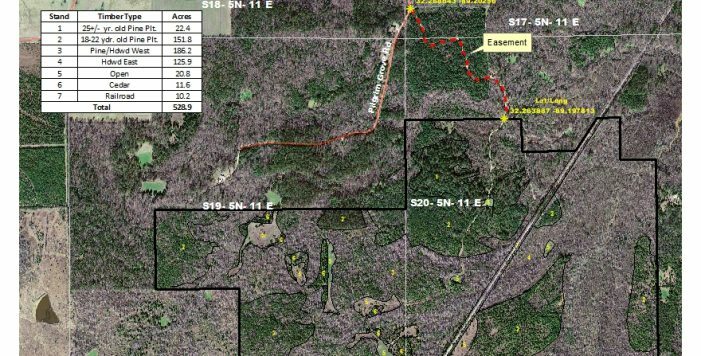 The property does not front a public road, but it does have a permanent easement across an existing woods road that provides unrestricted access. It has easy access as it is close to Interstate 20. The nearby town of Newton offers numerous restaurants and a Wal-Mart. The tract is just over an hour's drive from Jackson.